Epiphany is in 5 days, and we are so excited! 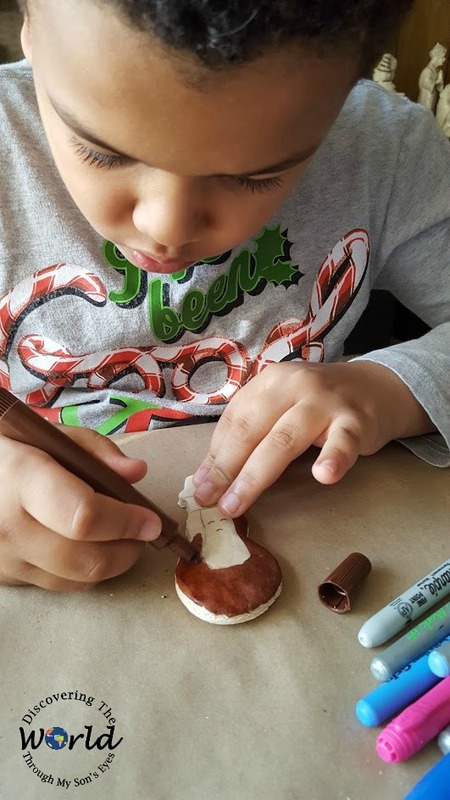 Of course, our Christmas tree is still up and we’re making Three Kings Ornaments. 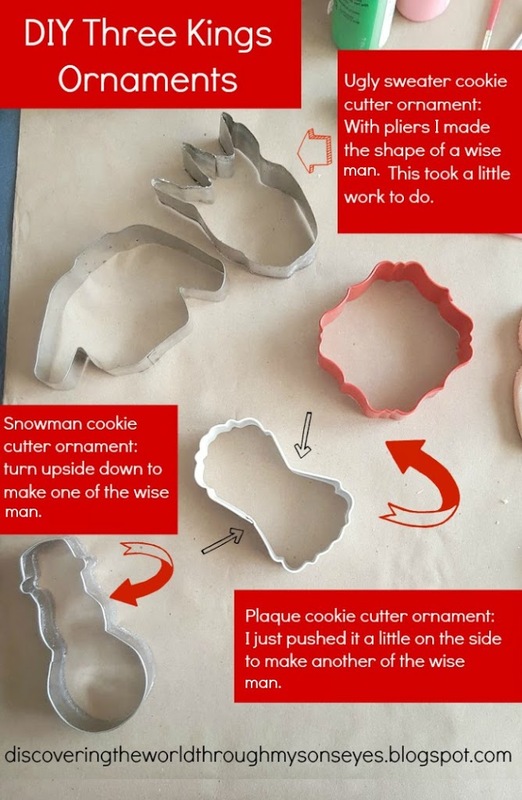 This year I really wanted to make these ornaments, and it’s really hard, and nearly impossible to find king shaped cookie cutters. So I made my own, and so can you. You just need a little bit of creativity. 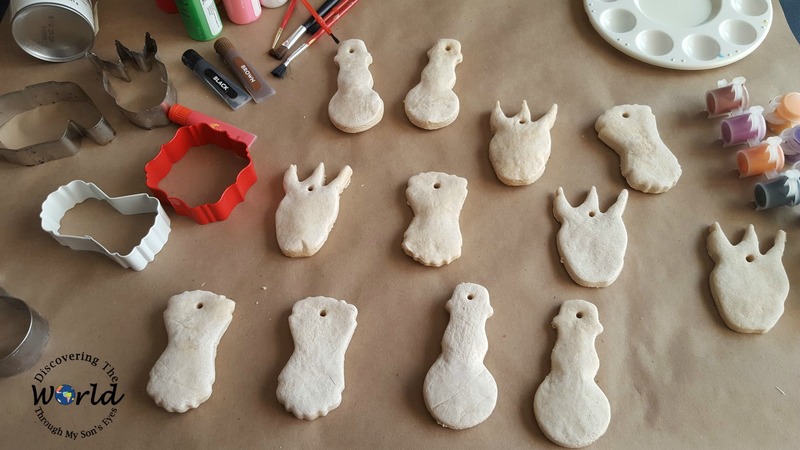 Make your ornaments with salt dough. I used the recipe from here, but this makes a huge batch! So next time I’ll just cut the recipe in half. 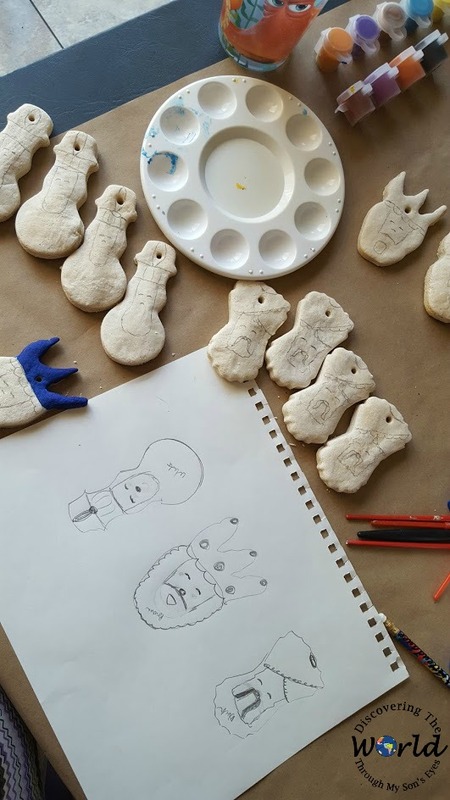 Once they are cool draw the faces on the ornaments. I drew them with a pencil that I can erase and draw again. Lastly, get your kids to help! We used permanent markers to color them, and glitter glue. Once the glue was dry, I spray painted it with an acrylic sealer. 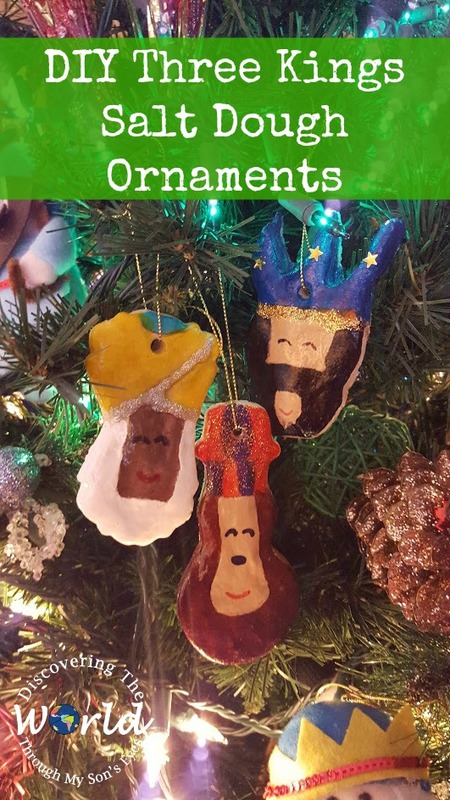 This is a super easy, and fun activity to do with your kids for Epiphany! I hope you enjoy them as much as we did!